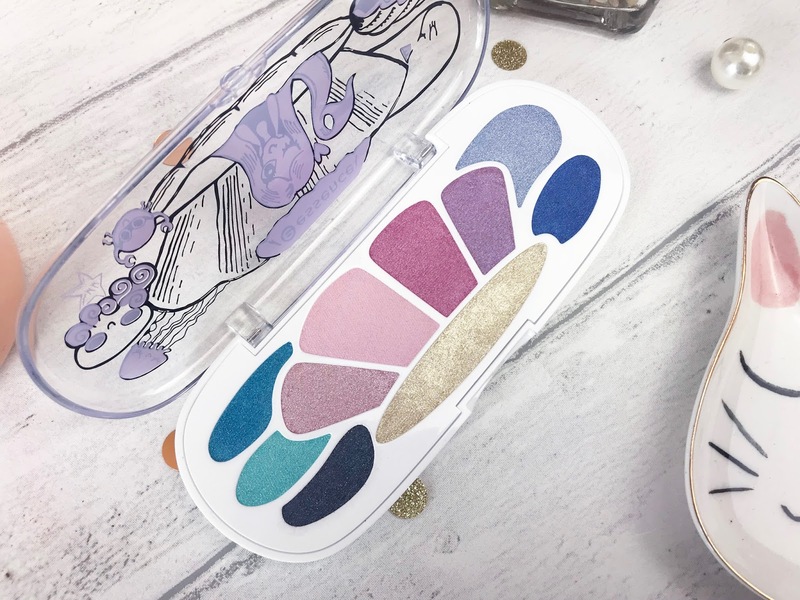 There are quite a few of these adorable new eyeshadow palettes available at the moment, and here we have the Essence Mermaid Eyeshadow Box 03 My Shell Is My Castle (£4). 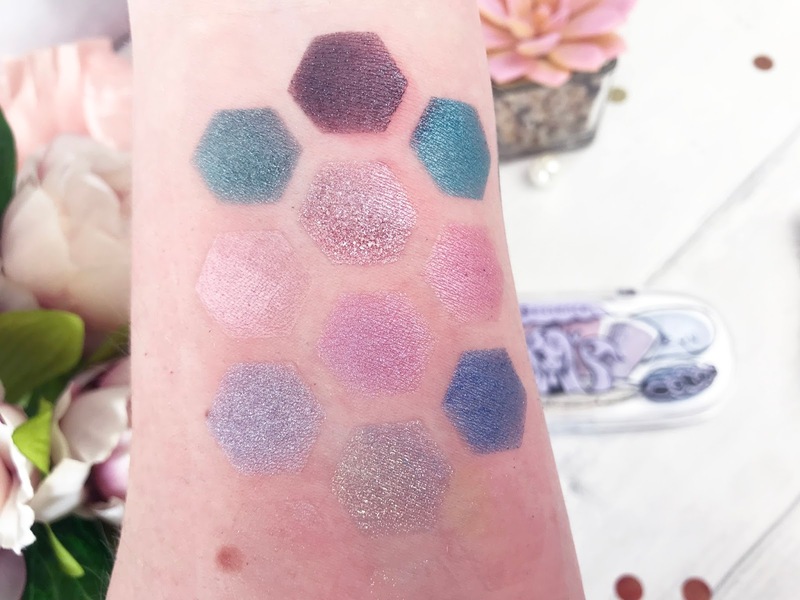 Apart from looking the cutest bloody thing I have seen in ages, this palette contains ten highly pigmented eyeshadows, with both matte and pearlised finishes. The pinks, greens, blues and light gold glitter are perfect for this time of year, and you can create so many pretty and fun eye looks with these. The only thing that bugged me with this palette is that there is no barrier between shades, so once you pop your brush into one shade it can easily go into another, or spread the colours between the pans, but for just £4 I guess I can’t really complain too much! Because I have really short, fair, thin, straight eyelashes, a lash primer is an absolute must for me. I am normally a fan of the Lancome Cils Booster, but it is rather pricey so when I spotted the Essence Volume Booster Lash Primer (£2.80), I had to try it out! 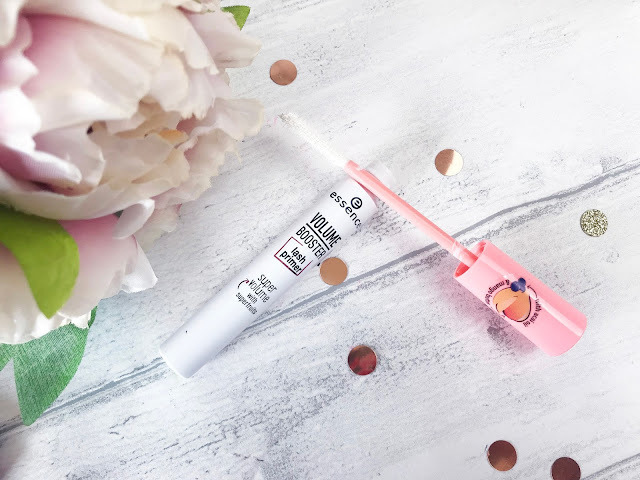 The Essence Lash Primer has been created using mango butter and acai oil so that it also conditions and treats the lashes before you apply mascara. Because of those moisturising properties, I would recommend popping a little of this on your lashes - or even brows, before bedtime - it even smells of mango! The brush itself is a natural bristle brush and applies plenty of product per application, which for me is a must as I much prefer ten extra minutes in bed than having to keep applying coats of lash primer and mascara. I find that this definitely adds volume to my lashes and have been reaching for it over my Lancome one, especially for work, as at £2.80, it doesn’t matter how quickly I use it up. 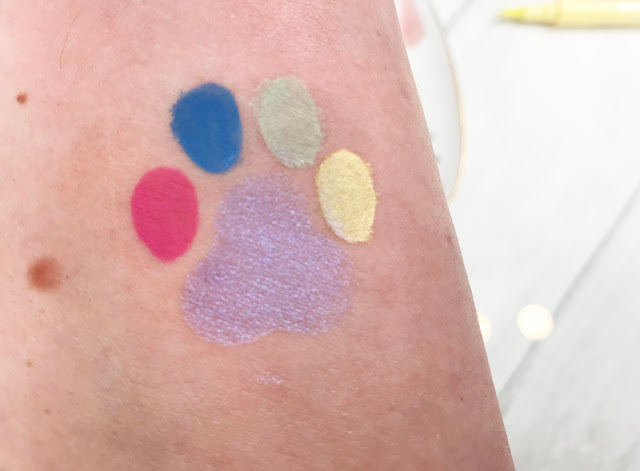 If you have seen Dior’s latest collection, you will see they have gone all out for their colour spectrum of liquid eyeliners, so I think this is going to be a huge trend this Summer. However, at £26 a piece, as stunning as they are, I can’t afford to buy different shades to play around with. 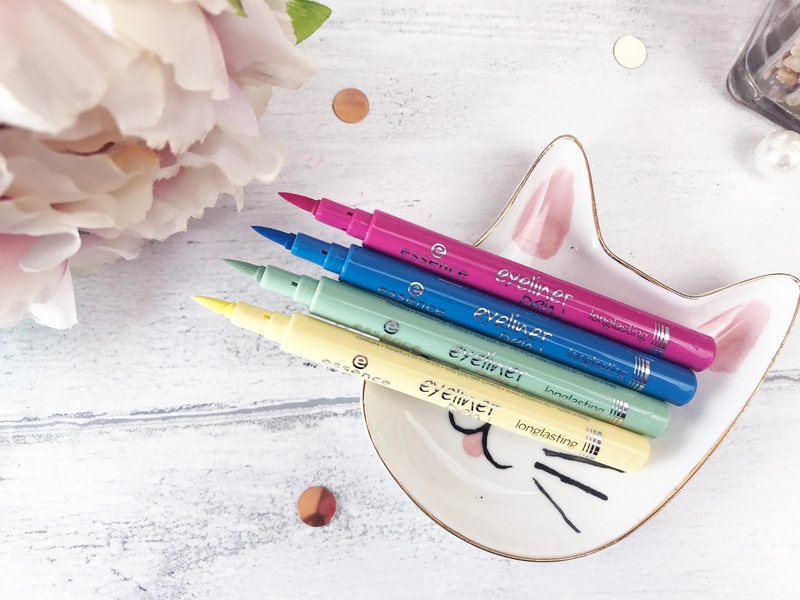 Essence have released their Eyeliner Pens in four Spring shades and at £2.50 each, I could definitely afford all four! The Essence Eyeliner Pen is available in 04 Young & Free, a pale yellow, 05 Mint Rebel, a pale green, 06 Break the Rules, a mid-pink, and 07 Jump & Swim, a sky blue. 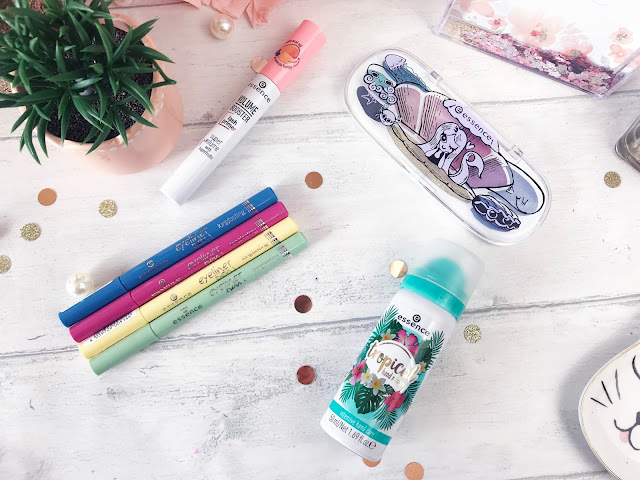 They have a felt-tip style pen with a pointed tip for a precise line, which can also be built up if you prefer a thicker eye line, and once applied are totally-smudge proof. I love that they have a matte finish as when you are experimenting with coloured eyeliners, candy colours can look a little tacky when they’re not matte, so I think it is great that Essence have thought this through. Not technically make-up related, but when I saw the Essence Tropical Hand Mousse (£2.50), I knew I had to have it! 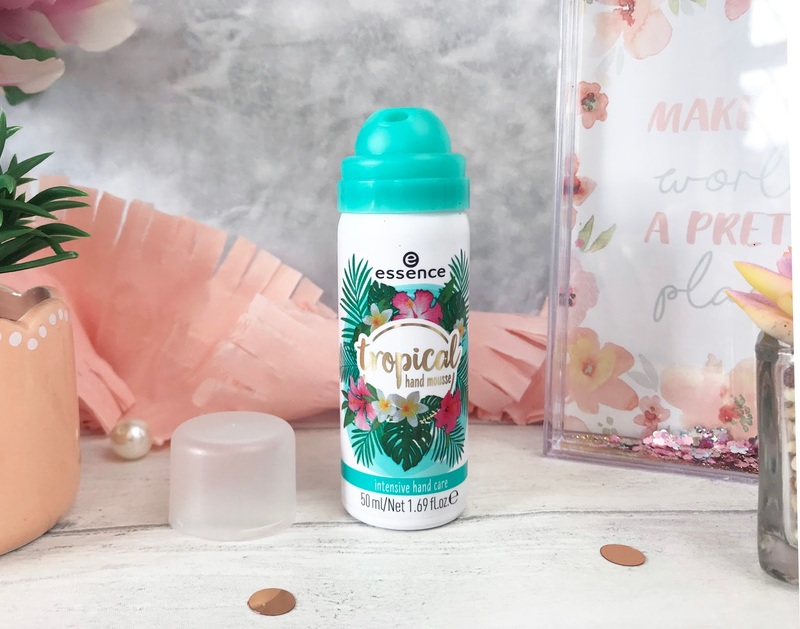 It is a moisturising hand mousse which has been enriched with monoi oil and aloe vera, and has the most divine tropical fragrance to it - reminds me of sitting by the pool with a cocktail in hand - if only. The Hand Mousse sprays onto the hand in a mousse texture but quickly dissolves into the skin in a sort of fizz once you rub it in to leave the hands and nails feeling super soft but not at all greasy! It is also the perfect size for travelling with or popping in your handbag! Essence is available instore and online at Wilko.